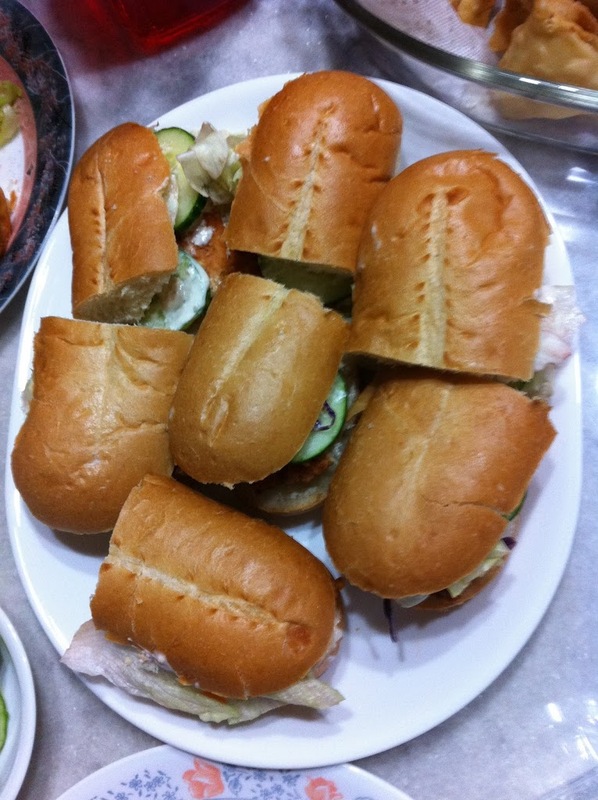 This is an easy sandwich that my family loves. 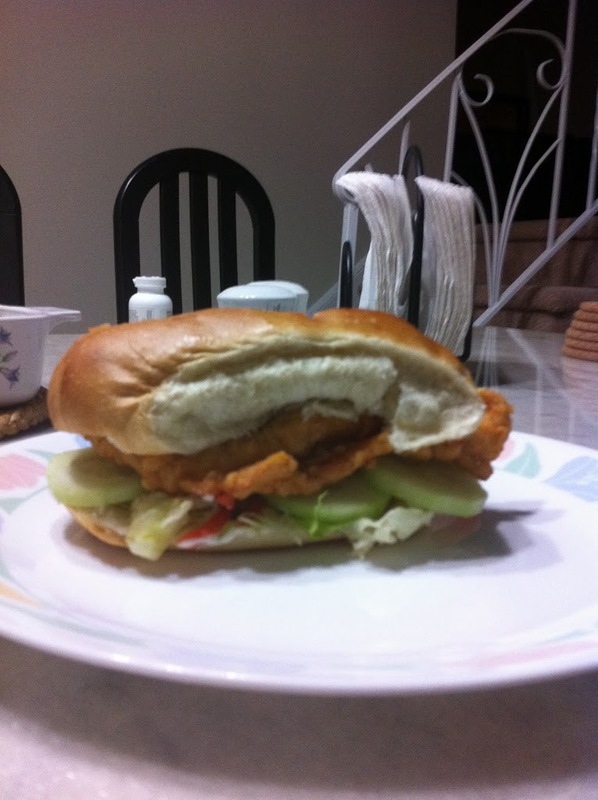 It’s essentially a fried chicken [breast] sandwich. What I do is: I marinate the chicken breast pieces (make sure they are thin) with salt, pepper, cayenne pepper, garlic powder and egg(s). I, then, put the same spices in the flour and mixed it well (everything but the egg obviously). Then, I dip each marinated chicken piece into the flour mixture before frying (you can either saute or deep fry depending on your preference). For the sauce: I use two part yogurt to a one part mayonnaise ratio, salt, pepper, cayenne pepper and… here’s the surprise ingredient: you know the sauce packets from taco bell? I use them and mixed it all really well. 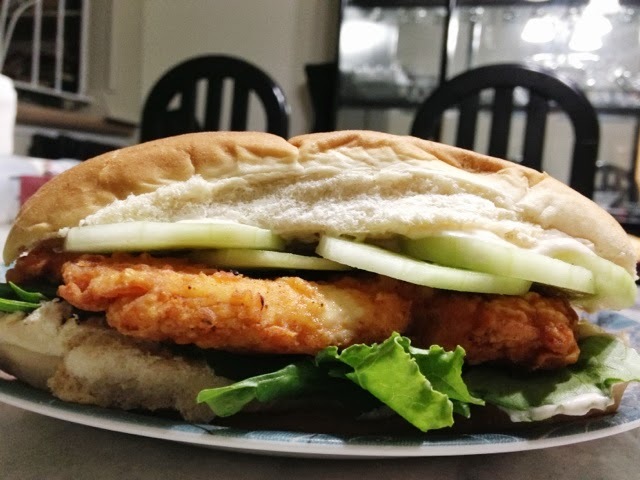 To put the sandwiches together: in a club roll, I spread a nice layer of the sauce on both parts of the roll with the sauce, add the usual cucumbers and lettuce (plus whatever else you like in sandwiches), add a piece of the chicken… and cover with the club roll top.